Subway station in the heart of Doha as lynchpin of the currently under construction state-of-the-art metro system in the capital of Qatar. Major interchange featuring a toal of four main levels at depths of up to 40 m.
High demands placed on the execution of the construction due to the inner-city location of the construction site and the imposing 200 m long and 180 m wide structural dimensions. 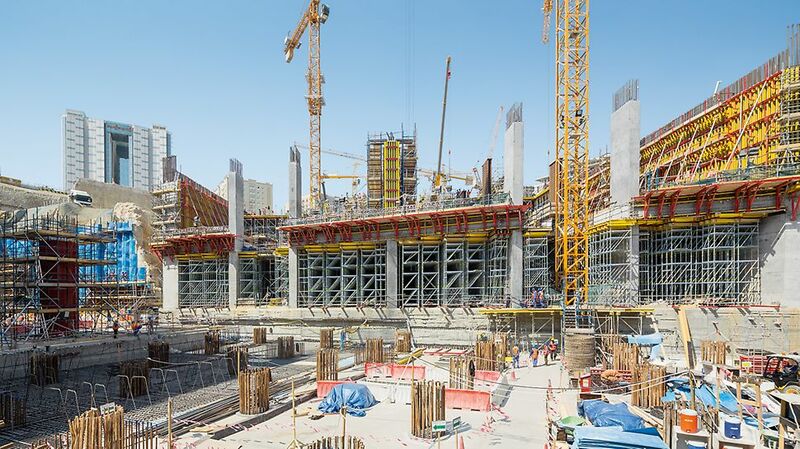 Complex structural geometry as well as massive reinforced concrete components with up to 3 m thick slabs and wall thicknesses up to 2 m.
Fast construction progress due to the individually adapted system concept and continuous on-site support. 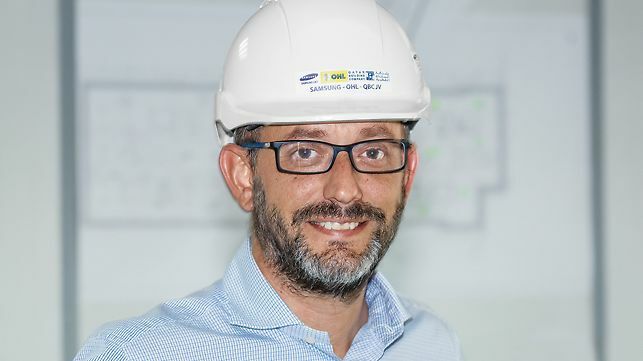 Cost-effective construction execution through just-in-time provision of materials. 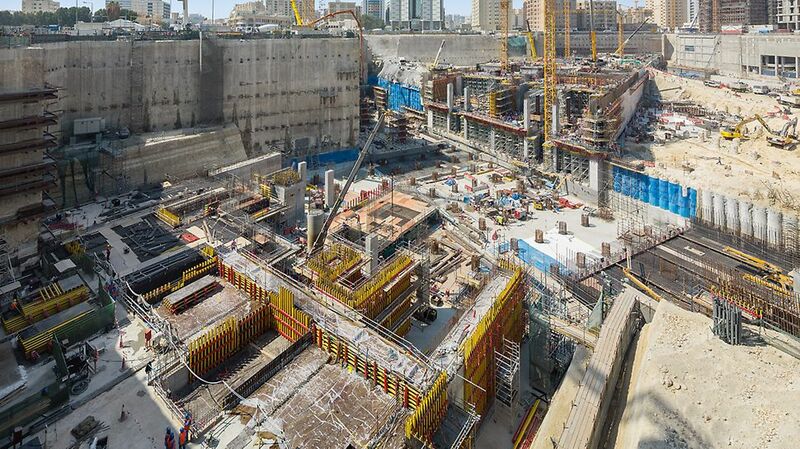 Realization of the ambitious infrastructure project within the tight construction schedule. PERI engineers have given us full round-the-clock technical support and reliable after sales service from day one. This close cooperation has enabled SOQ JV to use PERI cutting-edge solutions to build this very important station efficiently, safely and successfully. Project-specific implementation concept on the basis of system equipment. 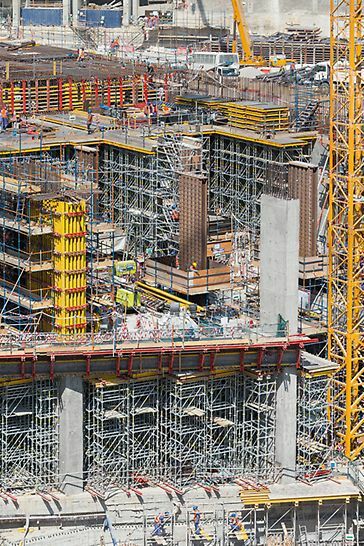 Fast provision of materials within a very short period of time: 10,000 m² wall and column formwork as well as 150,000 m³ shoring. 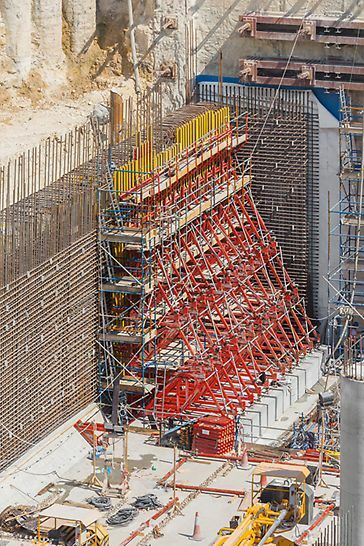 Wall formwork solution on the basis of the VARIO Girder Wall Formwork System and supplemented, if required, with SB Brace Frames and CB Climbing Platforms. 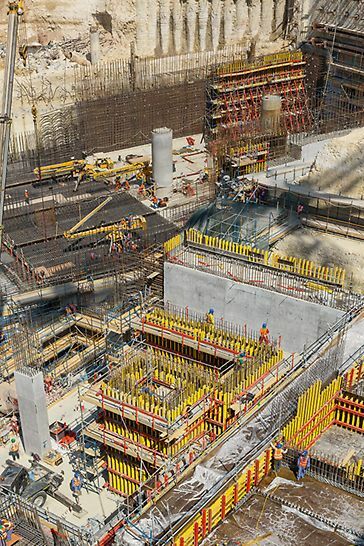 Customized shoring concept with PD 8 Shoring Towers, MULTIPROP Aluminium Slab Props and the PERI UP Flex Shoring System.